A stiff mix of half a pint of Guinness and the same amount of barley wine, which the blacksmith saw as the ideal way of ending a day of labour. The cocktail version, though slightly more sophisticated, is equally delightful. Quarter-fill a mixing glass with ice cubes, followed by the brandy and then the other ingredients. Stir well, though there is no need to strain this cocktail. Put some more ice into a lowball glass. Note: A blacksmith is best served on the rocks. 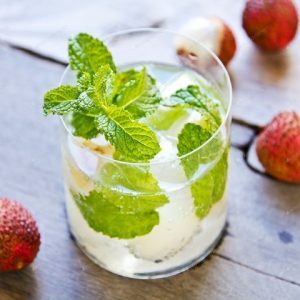 Feel free to comment or share your thoughts on this Blacksmith Cocktail Recipe from Awesome Cuisine.